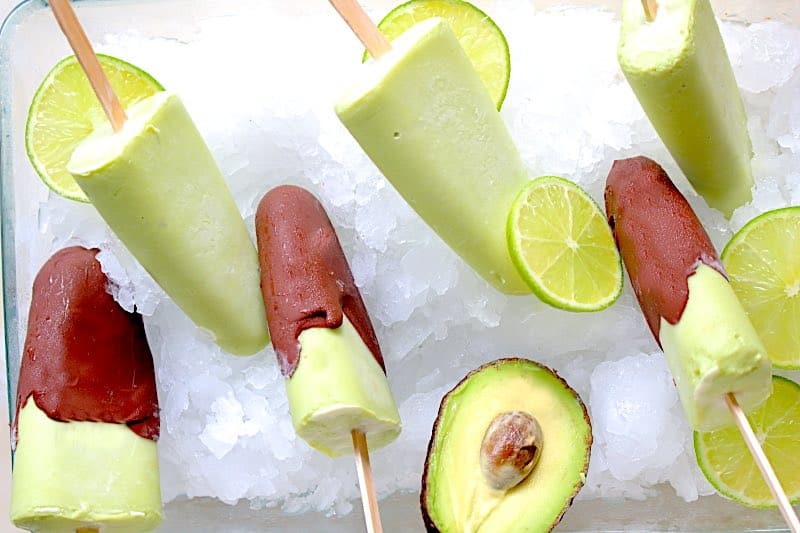 Summer is almost here and those Keto Avocado Popsicles are part of it. Well, we did not have spring this year. We have jumped straight from winter to summer. And that is just the perfect reason to make and have some Popsicles. You know, we here in the Low Carb world, love avocados. I always make sure, we have some in the fridge. But it is not easy to find really good ones. Most of the time they are rock hard when you buy them and then you have to wait for a week or so to see what comes out of it. Sometimes they are perfectly ripe, but sometimes they go from hard, to straight in the bin kind of. Since I do visit Slovakia often and my mum is really the best in finding out where exactly they do have the best avocados, every time I go and visit her, I come with a box of them. Same happened this time. I came with a box of 20 avocados, perfect to last us a few weeks. They all go to the fridge and I take out always 1-2 pieces for them to ripe just in time. And since we did have so many, we have done quite a few different recipes recently. One of them is our popular Avocado Burger, which you can check on our website. Then just because summer is here, we have made also some popsicles. Sophie loves them. And every time she comes from school, she takes one or 2 before dinner. I do try and convince her to have it after dinner, but a pretty difficult task. 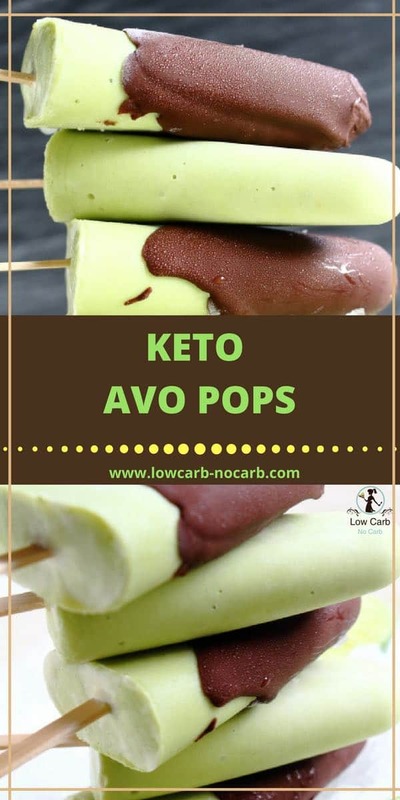 Those Keto Avocado Popsicles are full of health inside and I am happy every time she takes a piece because it is almost like a real and proper meal. Although she feels that this one is a treat. But what I really like is the color, that avocado gives to those. And after we have made some pictures, I just loved the droplets of water on some. Well, I have not seen them when I was shooting, but after downloading it onto my big screen – O MY. That just wanted me to have one piece right at that moment. Hope you will enjoy them. The most important is our kids of course. And as I have mentioned, for them it is a treat. But for us as parents, we do know how healthy this treat is. So lucky on both sides. If you do not have popsicle forms, you can just place it into the container, cover it with clingfilm and once harden have it like ice cream. We have also made some chocolate ganache to dip it in to, which is just a perfect addition. 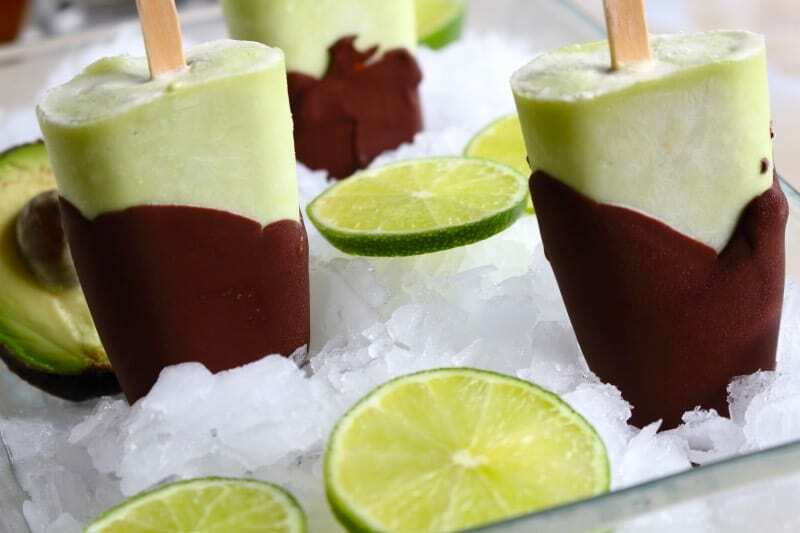 Enjoy those Keto Avocado Popsicles during those lovely summer days. Make it in advance, not only for your kids but also for all the visitors, which comes for the next barbecue. There are so many options you can use this recipe for. 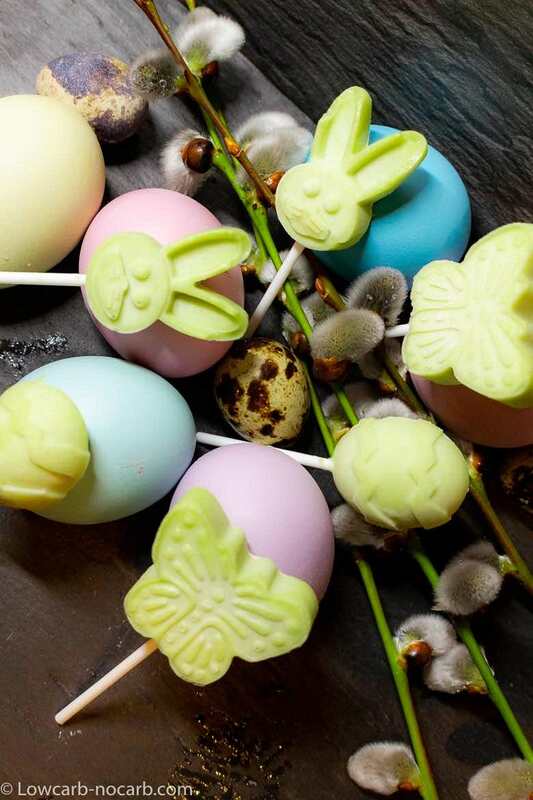 One example is those cute little Ice Pops for Easter. Just follow the recipe and fill up one of your ice cubes or easter shaped silicon molds. Add tiny stick to it and there you go. 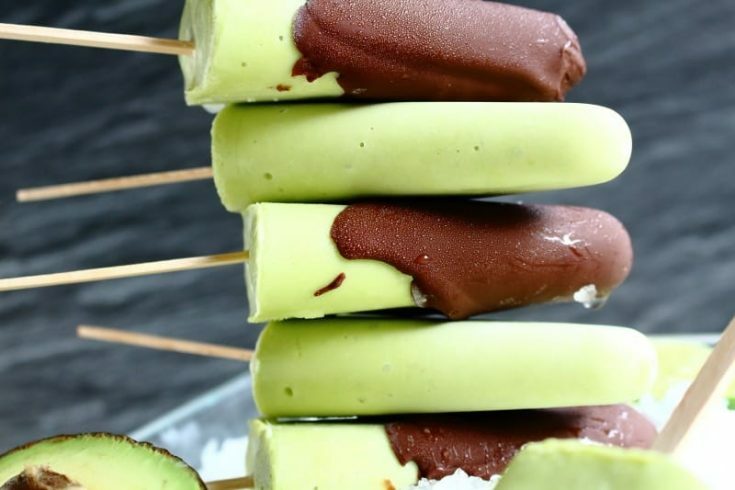 Your Keto Easter Avocado Popsicle is done and perfect. 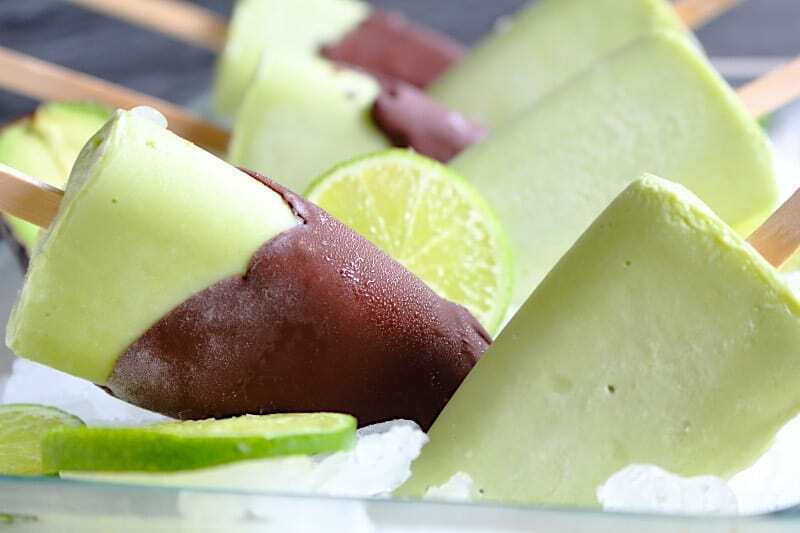 Keto Avocado Popsicles are the best and the healthiest option for those summer days. Your family would love you for giving them something yummy. Fill all of the molds with the mixture and place it into the freezer to freeze. Once the Ice pops are frozen, take each one and dip it into the cooled chocolate. The chocolate cannot be too hot, otherwise, it will melt the popsicle as well. Eat it straight or place it back into the freezer for later. And do not forget to let us know how did you like them and what alternatives you have made out of those. 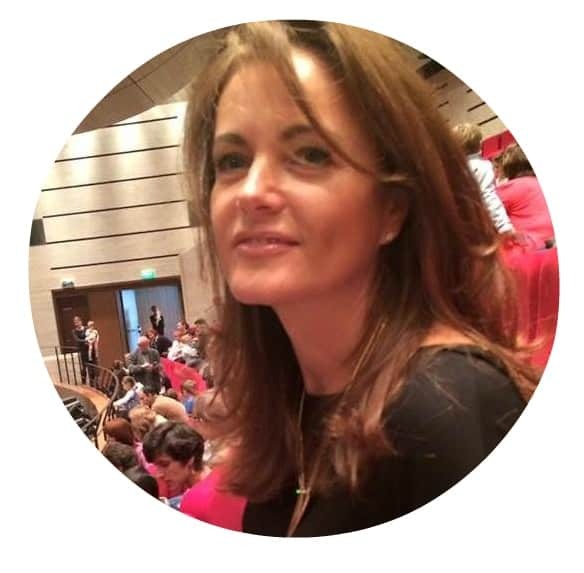 And if you do wish to receive a note about our next recipes, do not forget to sign in to our Newsletter. In that way, you will not miss a single recipe.